These yellow bells caught my eye at Pittsburgh’s Phipps Conservatory. Look at the twisted tufts of green leaves at the base of the stem, sprouting like a fountain. At the top of the long stems, the yellow bell shaped flowers almost look like shower heads, topped with another tuft of green leaves. Who designed this flower? Can you name it? 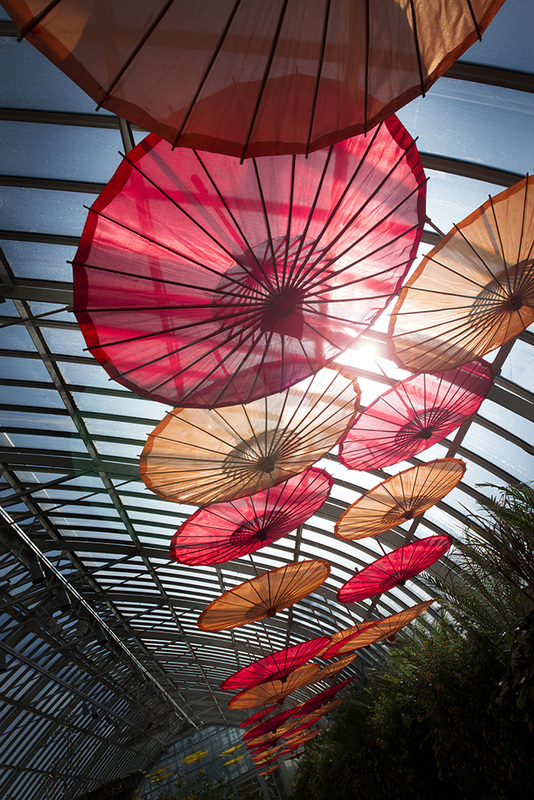 Enjoy the shapes and colors of Spring at Phipps Conservatory in Pittsburgh. If your city offers an indoor botanic garden in a conservatory, you have an escape from winter in your backyard. The Phipps Conservatory in Pittsburgh offers lush and exotic vegetation displayed with artistic vision at all times of the year. In a recent visit, I found a Japanese theme in a long gallery, where 24 mm lens created a compelling composition. 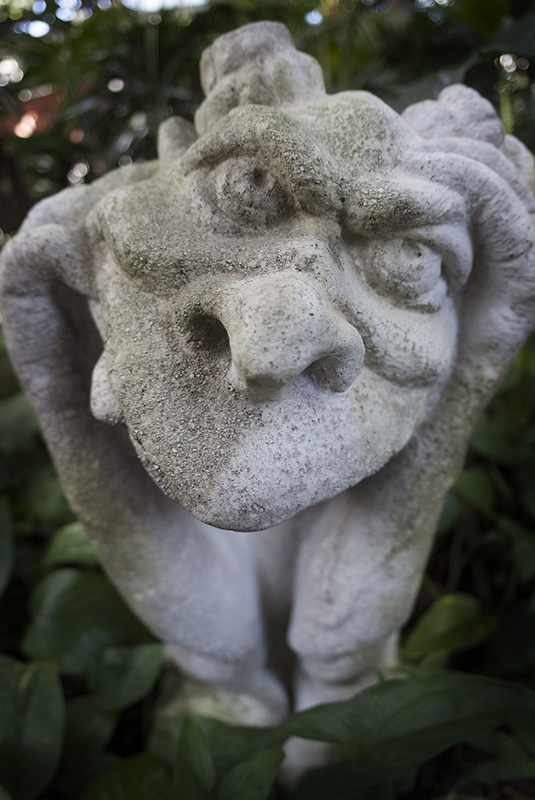 Through the years, I have also enjoyed photographing Chihuly glass and gargoyles harmonizing with the plants. Make a visit to your conservatory today. 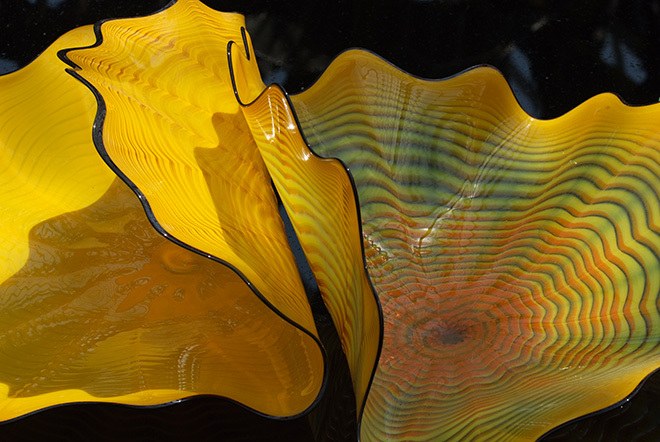 My favorites are the New York Botanic Garden and the Naples Botanic Garden. Feel free to share your favorites.